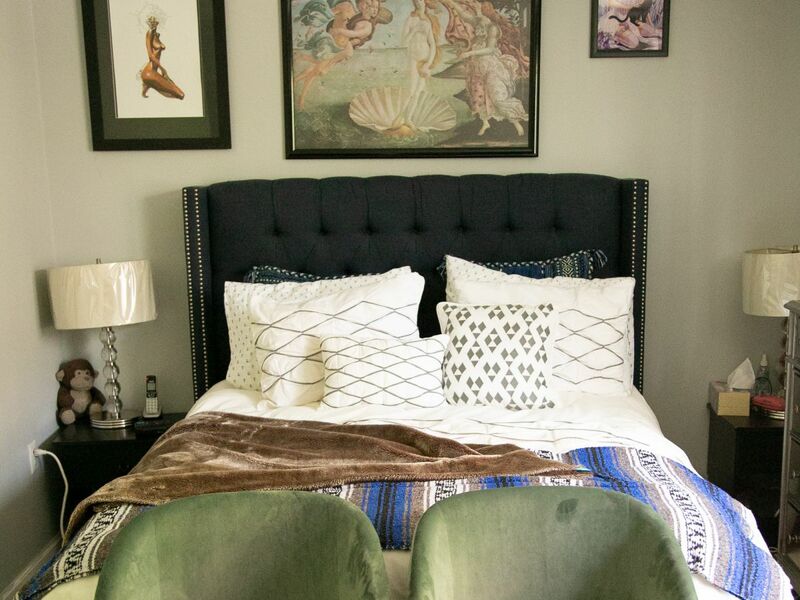 In Refinery29’s Sweet Digs, we take a look inside the sometimes small, sometimes spacious homes of millennial women. 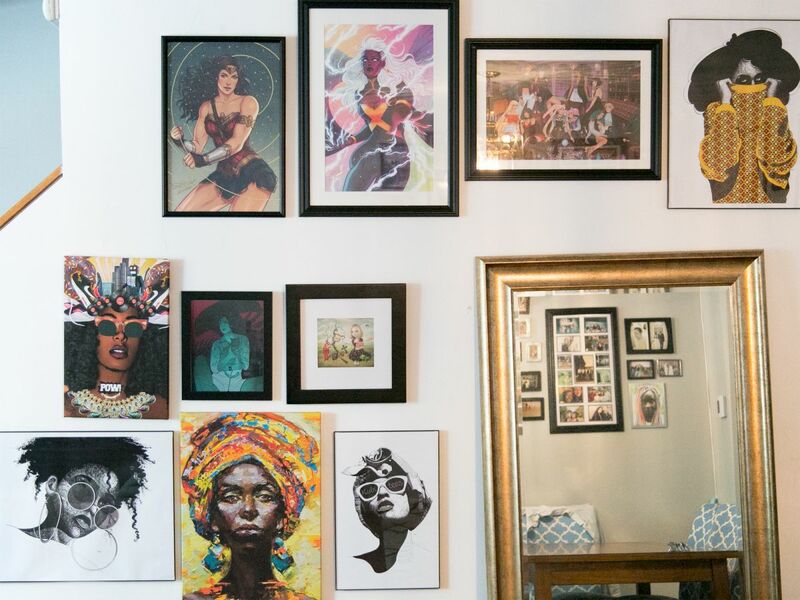 In today’s episode, 37-year-old Quressa RobinsonTK takes us through her three-level Bronx townhouse. When 37-year-old Quressa Robinson looked around her neighborhood of Washington Heights (where she lived for eight years) and realized it was changing, she decided to make a big move. Yes, her rent-controlled apartment was $2,300 a month, but “[the neighborhood] started getting really gentrified, and it became clear to us the landlord wanted us to go,” she says. The search led them to a three-story townhouse in the Bronx, a much bigger space than their tiny Manhattan apartment. Read on to shop Quressa’s buys and hear more about her first foray into homeownership. Can you tell me about how you found the house? We looked on Street Easy and Trulia. It was the last one out of five places we looked at; we only looked one weekend, like one day for a house. We got a realtor because in New York, you have to get a realtor, and then you have to get an attorney. So we found a realtor that my friend had used when she bought her co-op. And just kept sending her tons and tons of places to look in the Bronx. What we found was some things are listed, but they’re not necessarily available because they might be in escrow or in the mortgage process, but they haven’t abated. So there were a handful of things that we were disappointed by and we couldn’t look at. But after five houses we found this and we ended up making an offer on it. How many other offers were in? There were two other bids, but we went in at asking price for $360,000. I think it was fine because nobody came in with a cash offer, and because we were doing a mortgage, it didn’t make sense to go over asking. It was at the top of our budget, and we really, really wanted it. Luckily, it was enough. Can you talk about the closing costs? I think our closing costs ended up being $13,000, in addition to obviously our down payment, because of taxes and transfers and things that have to be recorded. And you’re paying for all of that. They say closing costs tend to be about two to five percent of the asking price or the mortgage price that you’re paying. What are some things you didn’t think about before you owned your own home? Something that we didn’t have to pay for when we were renting is we have to pay for our water and garbage. And obviously, electric and gas. And the house is 30 or so years old, so there are a lot of little things maintenance-wise that we have to pay out of pocket for. So we wanted to replace the roof, that was $4,000. And I’m expecting to have to replace our furnace and get central A/C, which will be great. And with the backyard, eventually, we’ll want to repave the entire backyard and the front yard as well. And I would love to have a hot tub in the backyard if I can. Can you talk about your neighborhood a bit? Part of the reason why we chose this [neighborhood] is because one — all the other boroughs are ridiculously expensive. But we’re about a 15-minute train ride away from West Harlem and 126th Street, so we tend to kind of hang out around there. And I love the neighborhood. It’s really quiet and residential. It feels really weird that it’s in New York City, that this is a neighborhood that’s a suburb or a burb of or a burrow of New York City, because literally I’m hearing the birds chirping outside in my backyard. It’s really peaceful and quiet, and it’s really nice to have neighbors who have been living here for decades, with the kids who grew up on the block and stuff like that. And because we’re only the second owners of this home, we get to add to that and the legacy of this house. Kim Kardashian: What’s Wrong With This Picture? Imagine That! Kendall Jenner Thinks Being Called “skinny” Is An Insult!